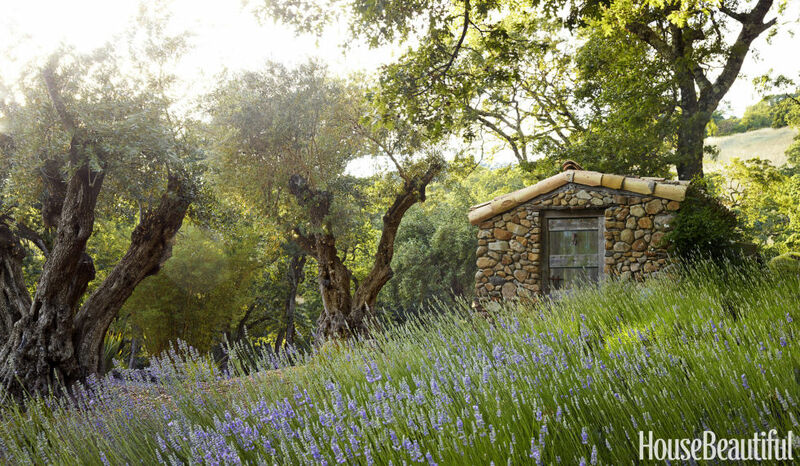 Abundant lavender, stone structures and a cool palette seamlessly integrating with Mother Nature. 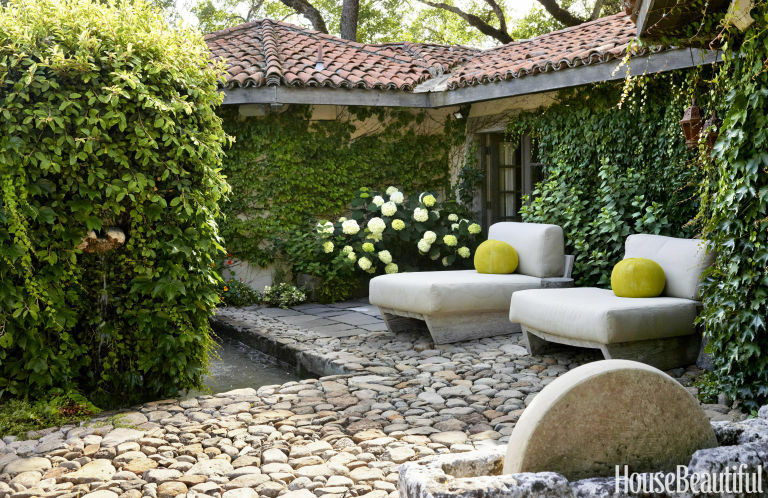 Designer Wendy Owen’s home in Sonoma, California, incorporates stone in nearly every space offering outdoor beauty. 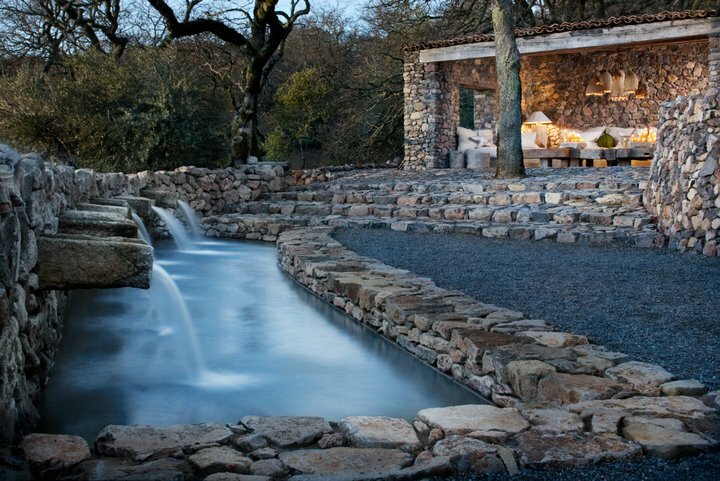 From stone walls in the dining room to the stone cave-like covered outdoor gathering room nestled next to the cascading waters, the element of stone exemplifies her appreciation for history and nature available in one fundamental choice. 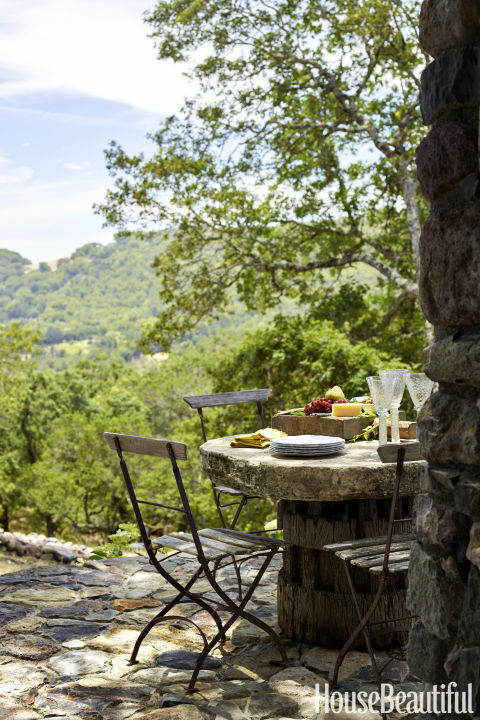 Inspired by her childhood living in England (near Stonehenge) as well as her travels to Matera, Italy, and Provence, France, stone was at the forefront of her design concept. 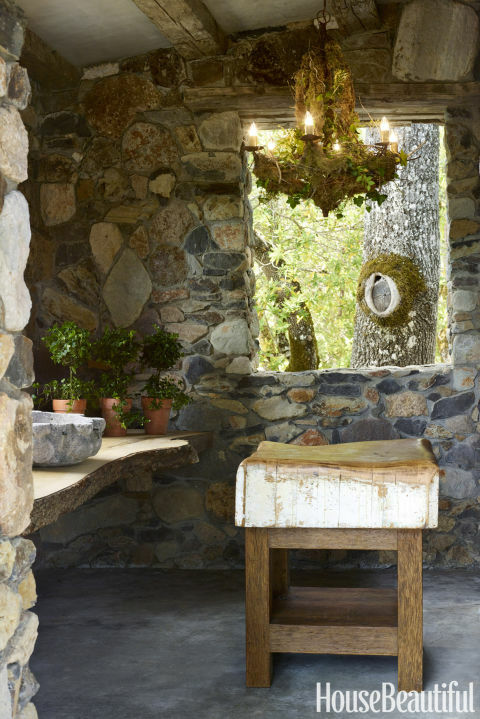 With nine acres and more than a handful of years, Owen and her husband have added additional stone structures to the property, many of which are depicted in the May 2017 issue of House Beautiful and seen below. 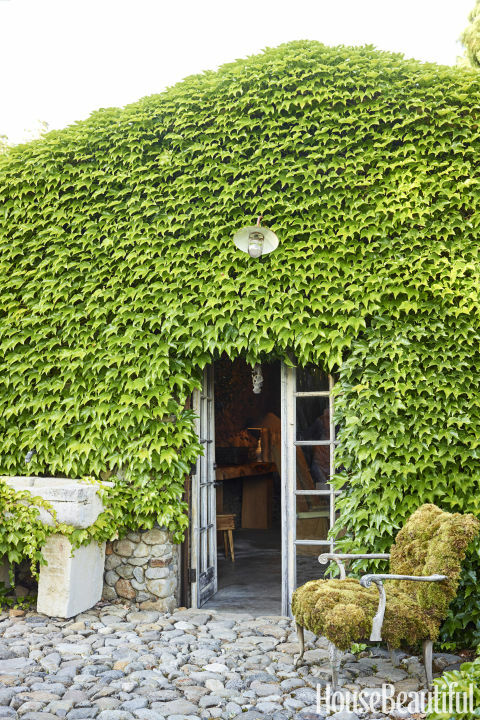 The integration of nature, the traveling vines of ivy and the simplistic, muted color palette create a space to be well, relax, congregate and step away from the busyness of outside demands. 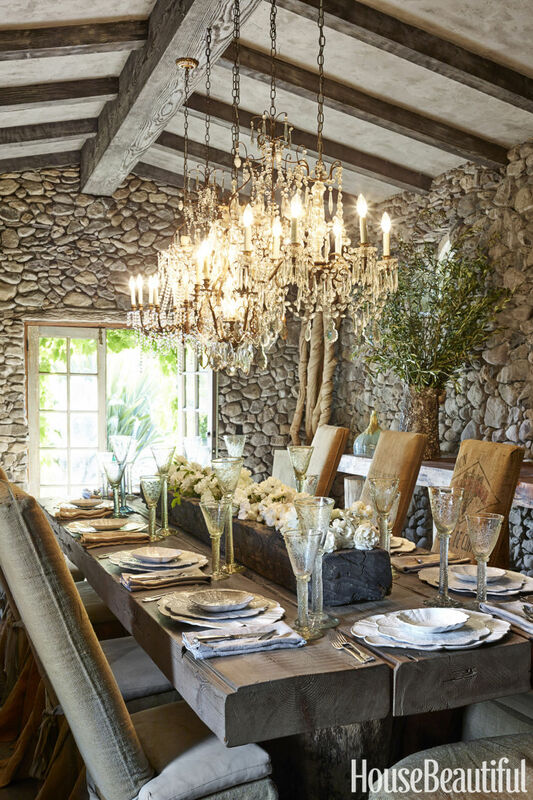 Learn more about Wendy Owen, her property and the items seen in each of the pictures here. ~Why Not . . . Style a Cozy French Living Room? ~Why Not . . . Add a Touch of France to Your Decor? 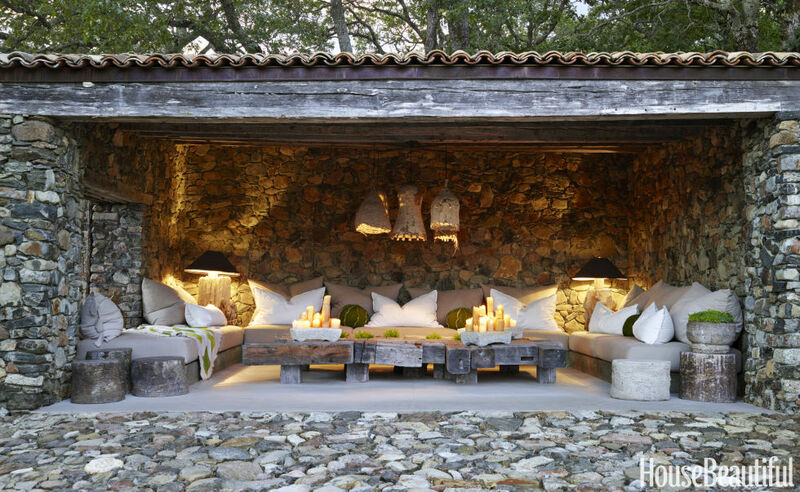 Images via House Beautiful and Peter Medilek Photography (see more of her residence through Peter’s lens here. When we moved to the south of France, I really wanted a beautiful old mas, but it was out of the budget. So we made one out of our postwar house (actually it wasn’t a house to begin with, but that’s another story). 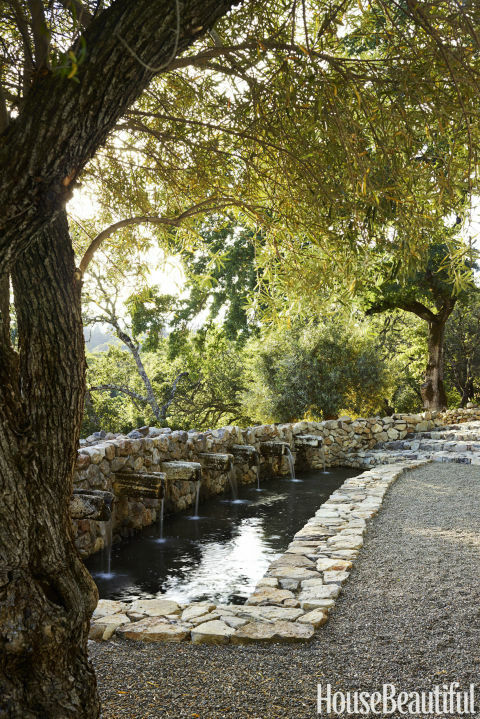 We built low stone walls around the garden, including a pergola, and they look like they’re hundreds of years old. Totally added charm to the garden.